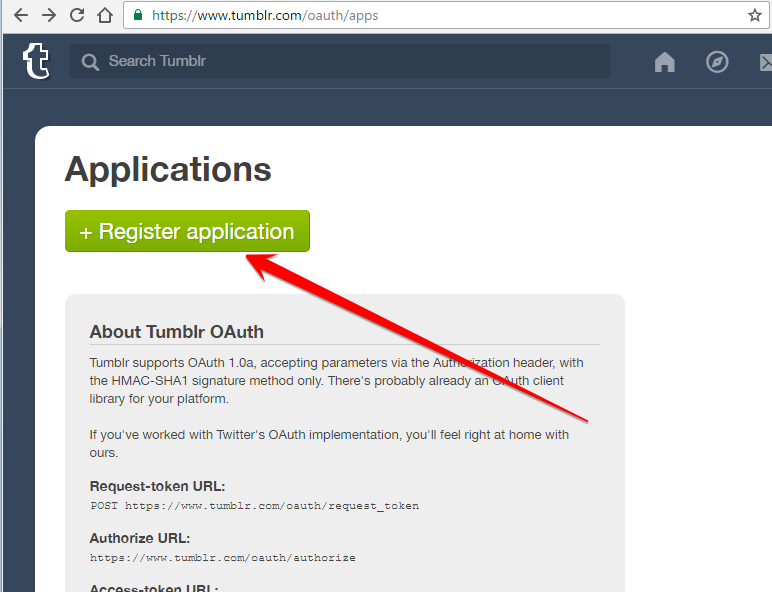 Tumblr uses OAuth to provide authorized access to its API. 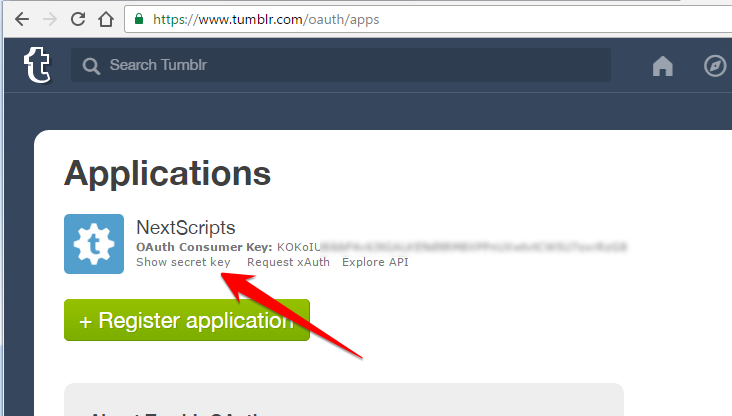 You need to register Tumblr application and get “OAuth Consumer Key” and “Secret Key”. 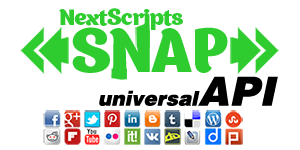 Then you will need to authorize your WordPress blog. 1. Create a Tumblr app for your website. 1. Login to your Tumblr account. 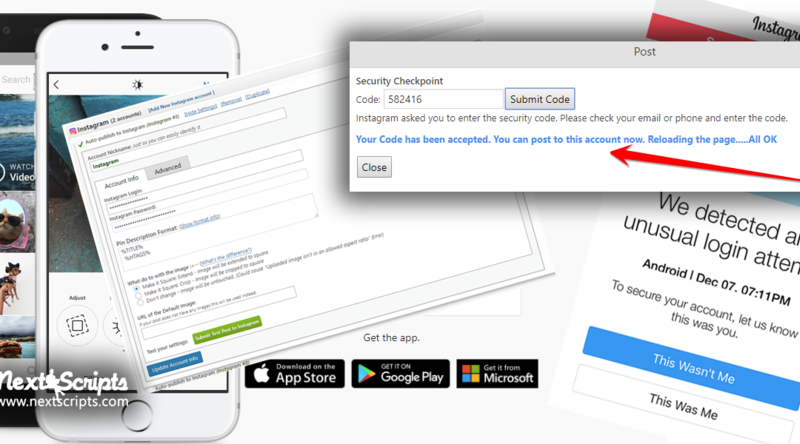 Fill “Application Name”, “Application Website”, all other fields (just enter your website URL to the “Default callback URL”) and click Register”. 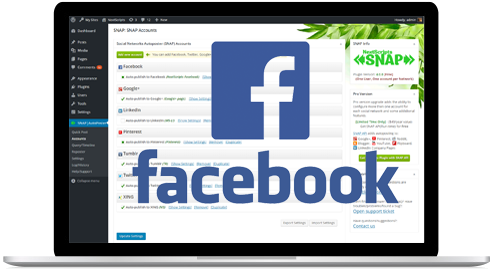 – Notice OAuth Consumer Key and Secret Key: on this page. 2. Connect Tumblr to your WordPress. 2. Click green “Add new account” button, select “Tumblr” from the list. 3. Fill “OAuth Consumer Key “Secret Key” from step 4 above. 3. Authorize Tumblr for your WordPress. 1. Find the new Tumblr account in the list, click “Show Settings”. 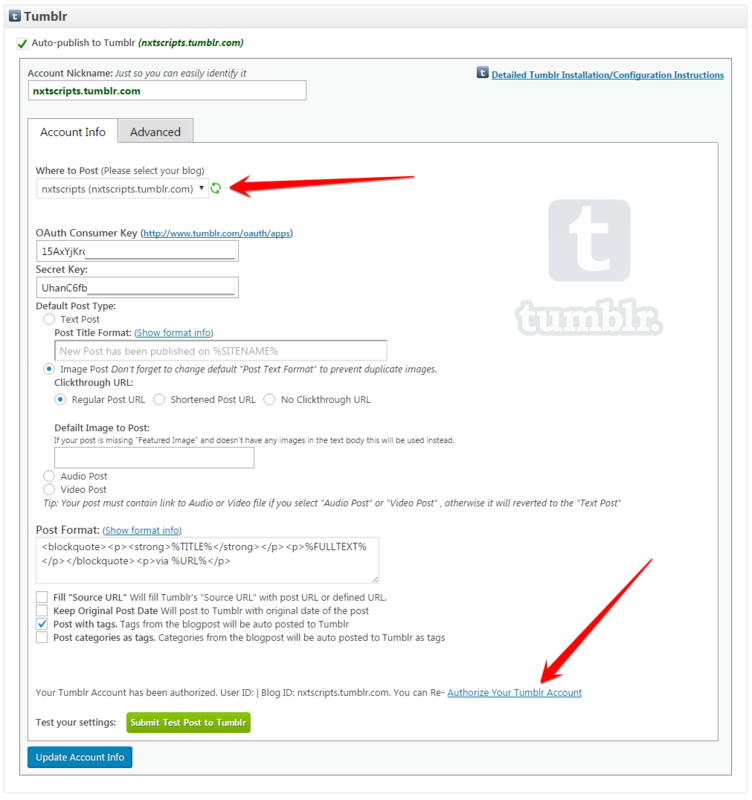 Notice new link “Authorize Your Tumblr Account”. 2. Click “Authorize Your Tumblr Account” and follow the authorization wizard. 3. 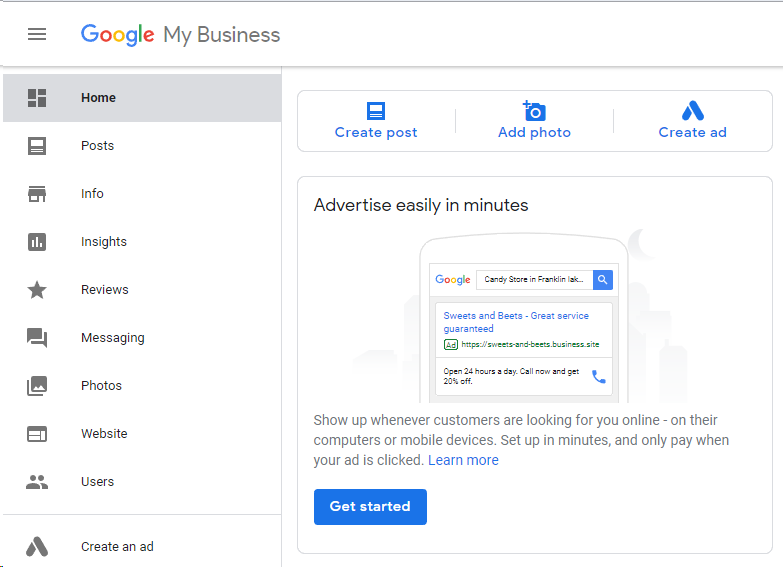 Notice new dropdown “Where to Post”. 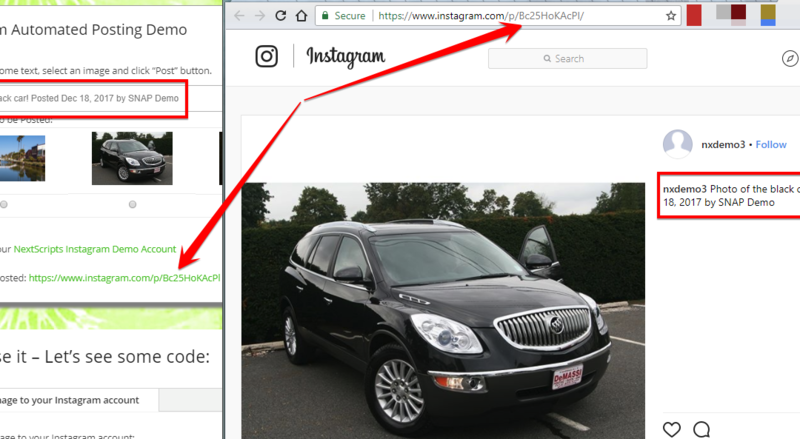 Select the blog you would like to post from that dropdown. 4. Your Tumblr is ready to use.